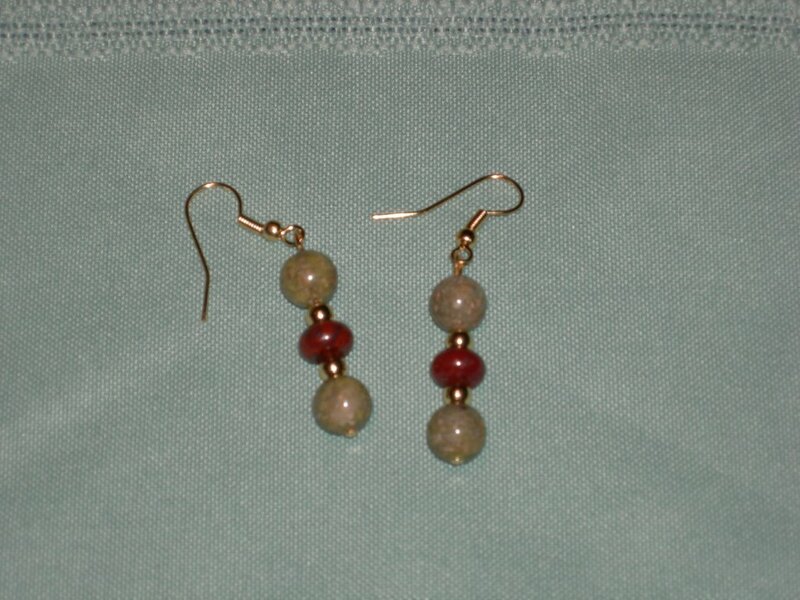 These earrings are make of unakite, otherwise known as the state stone of Virginia. 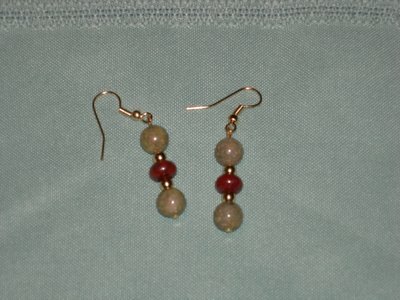 The red disk beads are made of jasper, and accented with gold beads. These were so easy to make and I'm glad they turned out so well.